Corsa Motors LLC. is supporting Local events such as I.B.A.F (International Bar Athletes Federation Competition) We will be there in Full Force, so Come check out and show your support. 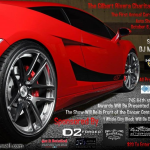 The Gilbert Rivera Charitable Foundation is having its first annual Cars Against Cancer Auto show. The event will take place in Brooklyn, NY. One block will be closed down and awards will be presented. 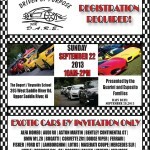 Corsa Motors is proud to be sponsoring this great event. Hope to see you there! !